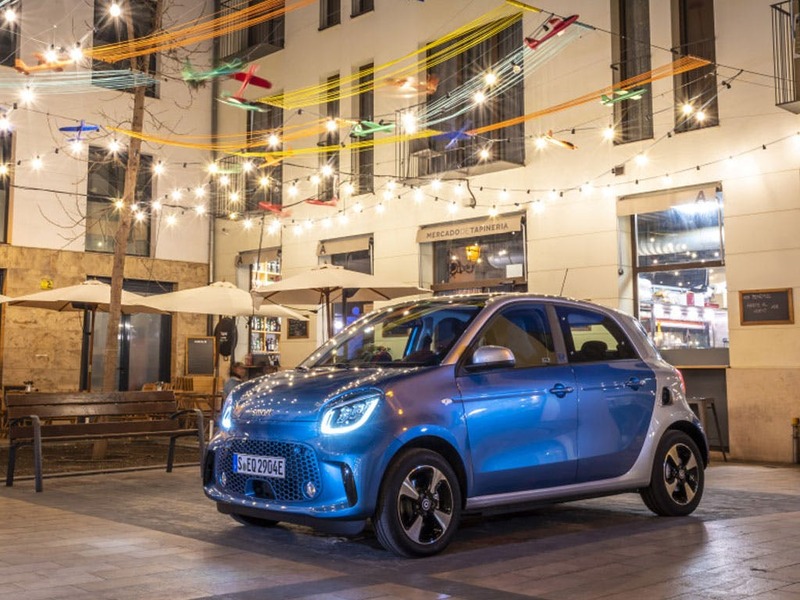 Enjoying the city atmosphere in the virtually silent smart cabrio electric drive is a very special experience – and a unique one too. 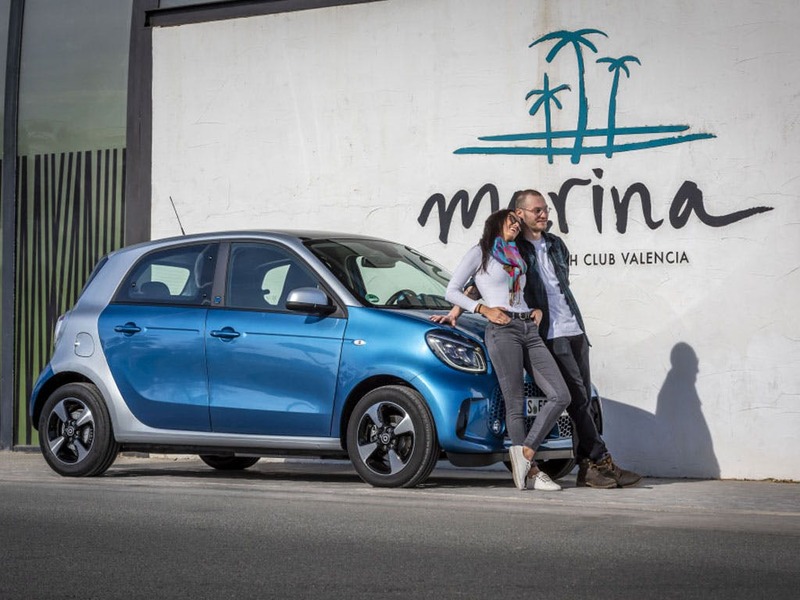 It is the only electric cabriolet that has been uncompromisingly designed for city driving. 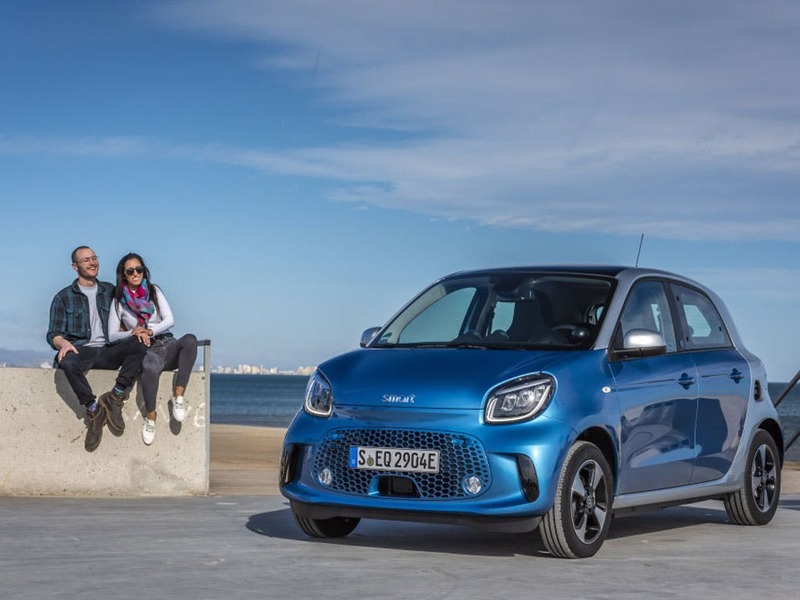 Discover all the latest smart EQ forfour offers currently available. 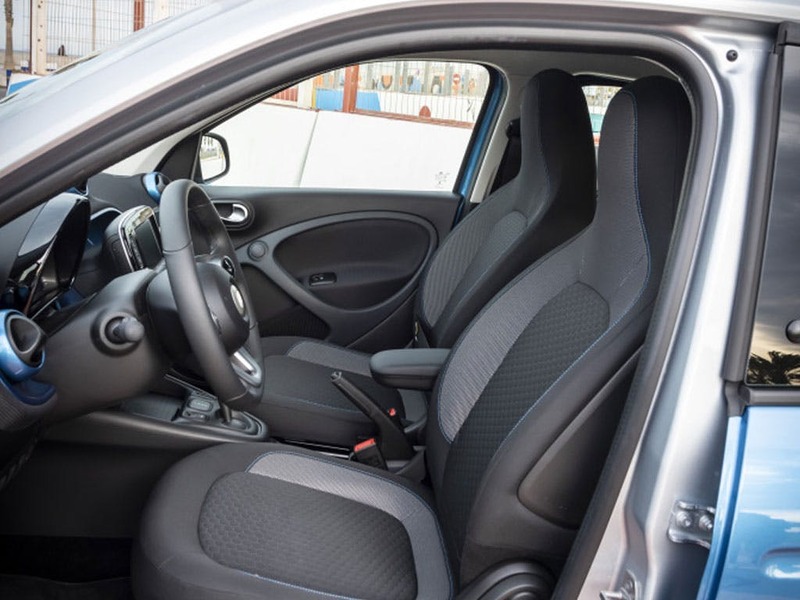 Every detail matters, view the smart EQ forfour technical specification. 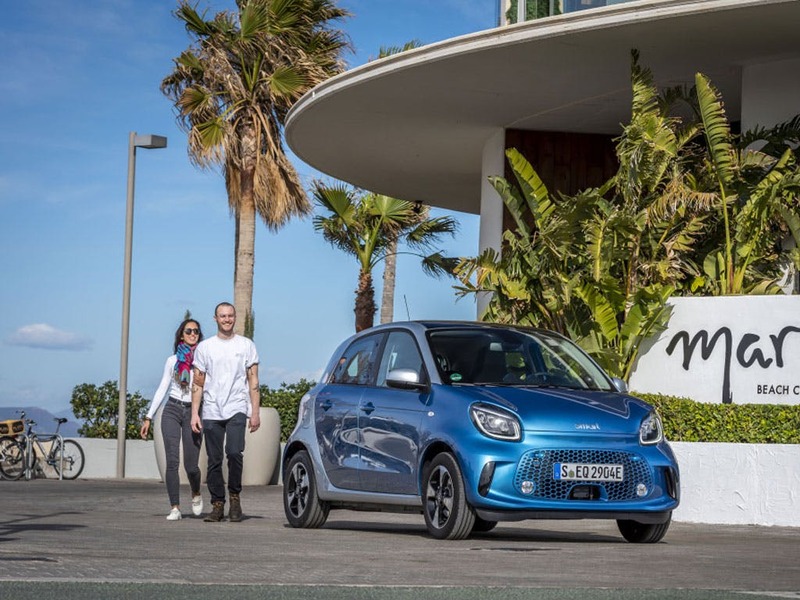 The kinetic energy of the vehicle is used to charge the high-voltage battery via recuperation as soon as you take your foot off the accelerator pedal. 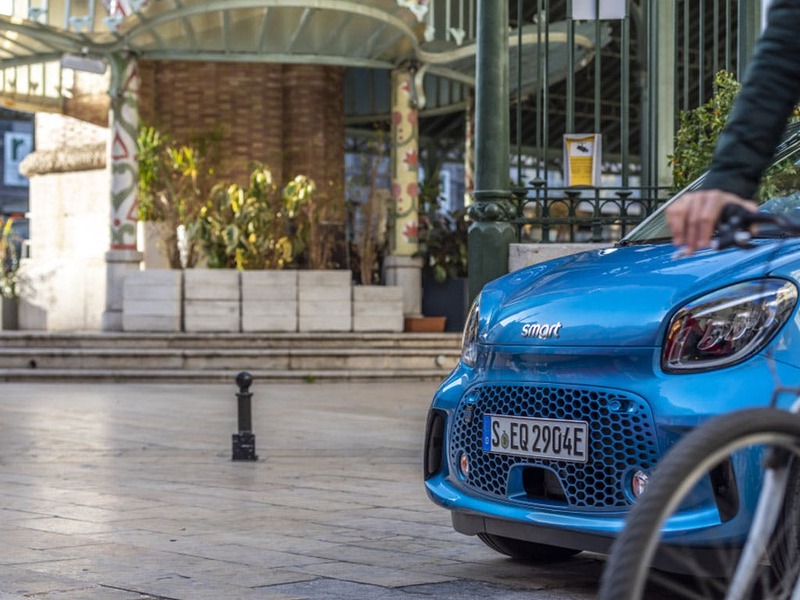 The radar-based recuperation goes one step further: a radar sensor monitors the traffic in front of the vehicle and automatically selects the optimum recuperation level. This ensures more ride comfort and optimised use of the kinetic energy. 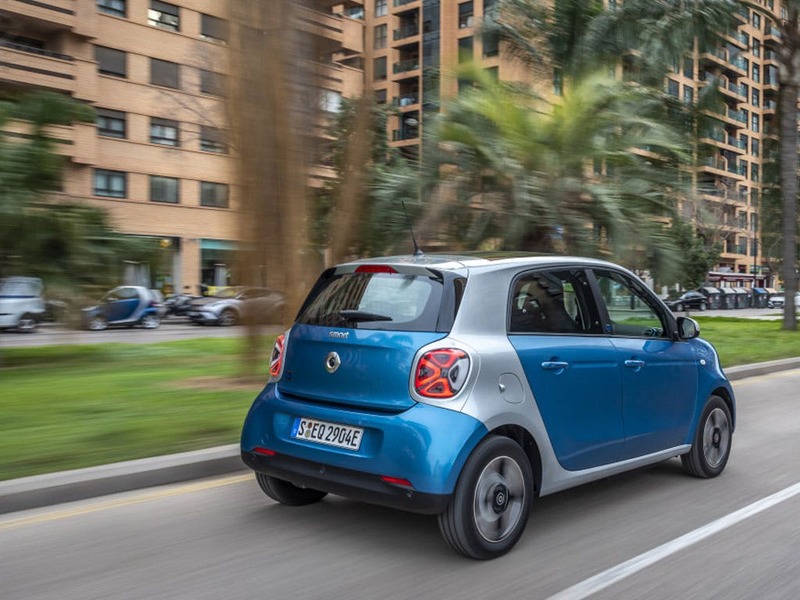 The smart forfour electric drive is equipped as standard with a high-capacity on-board charger. 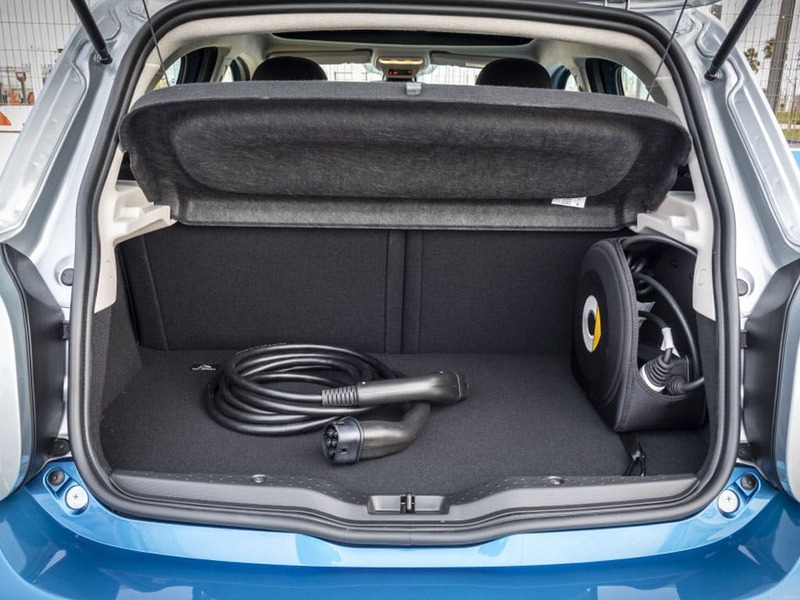 To recharge your vehicle, simply connect it to a Wallbox or public charging point. Charging is also possible at virtually any standard domestic power socket but this may take a little longer. The positioning of the high-voltage battery in a robust frame set into the vehicle underbody offers the best possible protection from deformation in the event of a collision. To ensure that occupants never come into contact with high voltage, all connectors are shock-proof. All the battery's safety functions are additionally subject to ongoing monitoring. And should it ever actually come to a crash, the high-voltage elements switch themselves off. 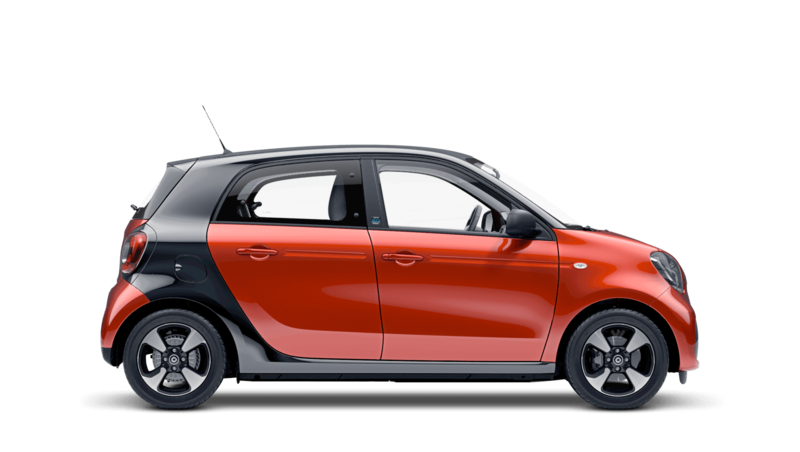 Keep your eye on important information at all times – wherever your smart happens to be. 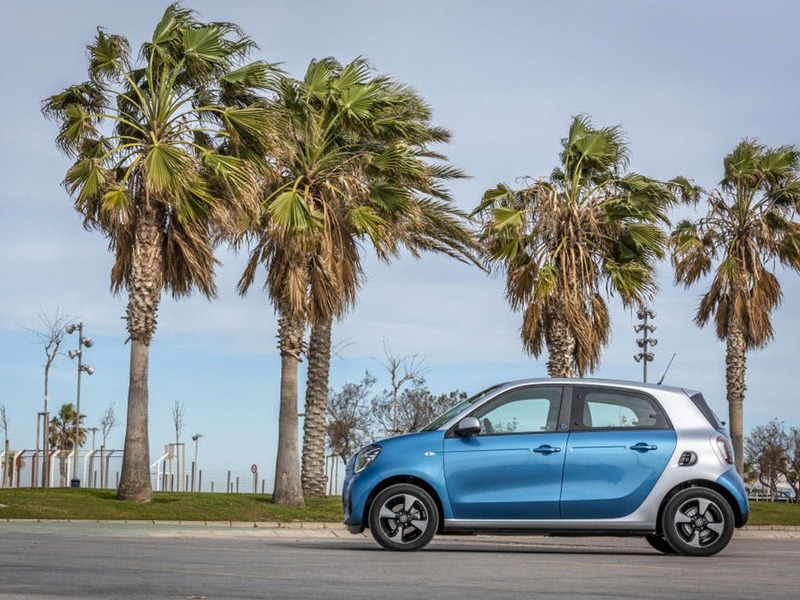 Charge level, current range or the end of your parking time, for example. smart control also provides a convenient means of controlling vehicle functions such as pre-entry climate control. 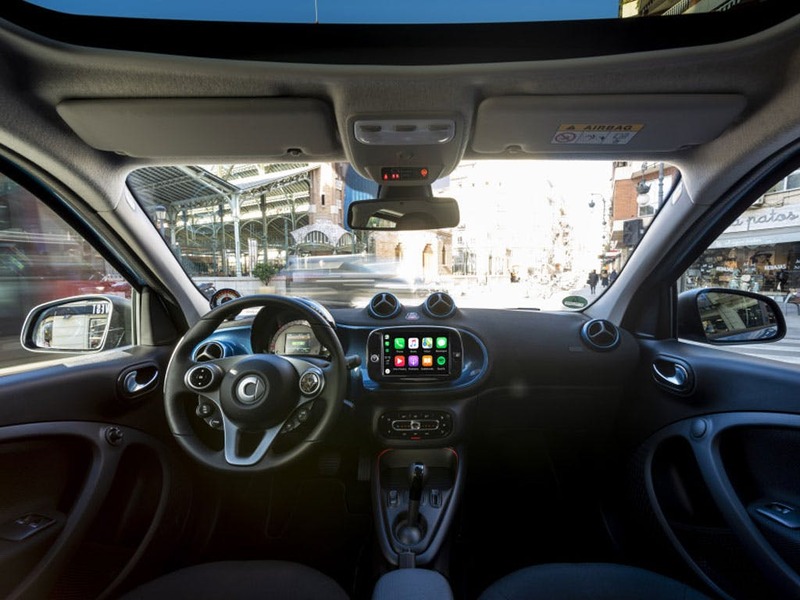 Explore the EQ forfour specifications.